For the third consecutive year, Perfect Memory will attend the top rank annual event in the broadcast line of business. IBC (International Broadcasting Convention) is the premier annual event for professionals engaged in the creation, management and delivery of entertainment and news content worldwide. It takes places at the RAI Amsterdam from the 12th to the 16th September. Attracting 50,000+ attendees from more than 170 countries, IBC combines a highly respected and peer-reviewed conference with an exhibition that exhibits more than 1,400 leading suppliers of state of the art electronic media technology and provides unrivalled networking opportunities. 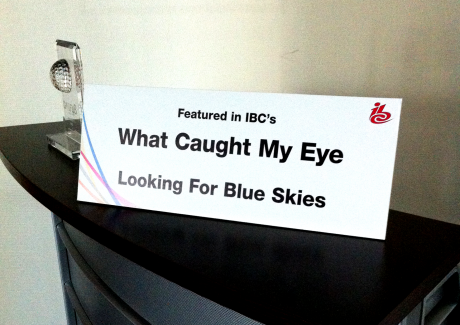 Last year Perfect Memory walked out with two awards – IBC Award for Content Management and IBC Award for technology “What Caught My Eyes Looking For Blue Sky” -, today Perfect Memory comes back in Amsterdam to strengthen its technological breakthrough. Meets us at the B36 booth in the Hall 8 for a personal demo. You can download here the convention map. More informations available on the IBC website.